For supporting the finished panel. Note: But two layers cannot work at the same time. 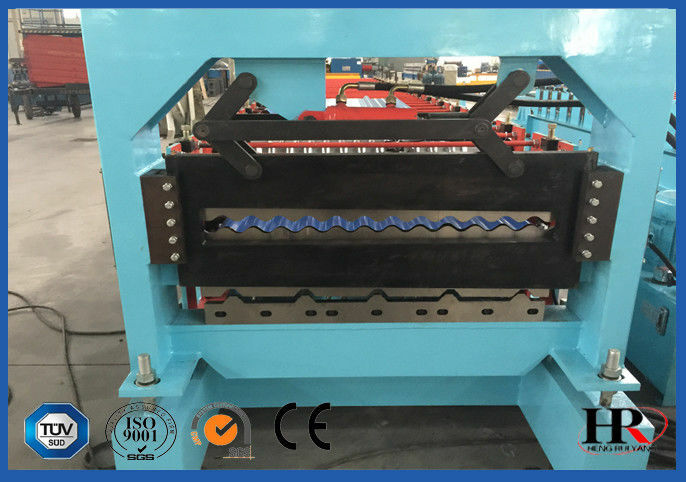 If you need to huge production, please buy single layer machine. 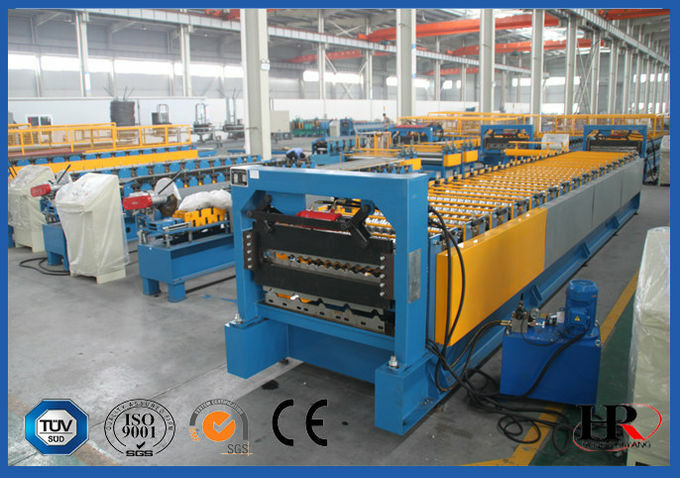 One machine could produce two types roofing sheets. Save working space, save energy and save cost of machine. Easy to use and easy to transportation. If you need to add wheels to machine, you can put production aany place. Two layer one PLC control system, one pair of motors, easy to maintain. Working speed 25 meter per minute. Material thickness could be from 0.2 to 1.2mm.